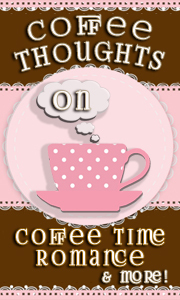 Coffee Time Romance & More - Your one stop shop for books and authors on the web. By day, I run the Crossroads Cleaning Company, and I also read fortunes and cast hexes at Dream Wardens, a magical consulting shop. But by night, I'm oath-bound to Hecate, Goddess of the Crossroads. Hecate charged me from birth with the task of hunting down Abominations who come in off the World Tree and sending them back to Pandoriam. On a routine cleaning job in Portside—a boat full of ghosts need their joyride cut short—Tam and I run afoul of the Devani. The ruthless soldiers of Elysium capture him and send him out to the Tremble, a place of wild, chaotic madness. Jason and I devise a plan to sneak in and help Tam escape. But Lyon and the Order of the Black Mist reappear, and I’m on their hit list. 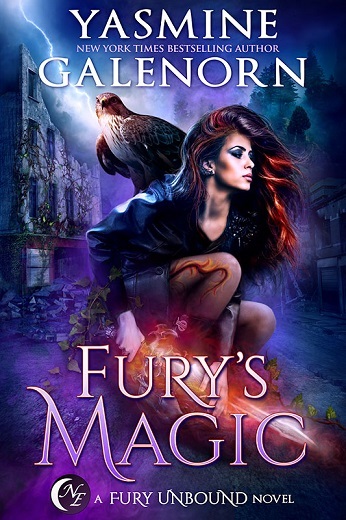 Lyon opens a door to the Netherworld and the dead are pouring into the city. Now, we must wade through both the Devani and the dead to save Tam. And we must close the portal on the World Tree before Lyon manages to wake the Elder Gods of Chaos. Sign up today and receive your favorite authors newsletter! You can pick and choose or join all of them today. They will arrive in your e-mail box each month. 19th: Autumn Celebration Chat with Natalie-Nicole Bates from 3:00pm-7:00pm EST on the Chatters E-loop. Happy New Year! No matter how yummy those holiday treats are, are you tired of over eating and packing on the pounds? Want something to feed your brain instead of your hips? Feast your eyes on this contest from Franny Armstrong. One winner will receive an ebook copy of Authors Beware, book 1, and We Be Jumpin', Book 2 of her Love Is To Die For Series! Look at this! A present for your pet! For anyone who has a furry member of the family you'll appreciate this thoughtful gift from author, Tara Fox Hall! While you're wrapped up in a cozy robe to keep warm, they'll be snuggled like a bug in a rug in this comfy little bed. One Intl/US winner will receive a gift card and 1 US winner will receive the catbed and some swag. December is behind us and we're ringing in a brand new year with some fantastic prizes! You can't win if you don't play, friends, and the first lucky winners of 2017 are listed below. We could not bring you everything we do without our devoted Coffee Crew. They work hard behind the scenes to make it all happen! Check out their staffer pages here. Want to boost your book sales during the holidays? Here's a tip you'd do well to pay attention to, Debbie Macomber certainly did! Adult coloring books are all the rage right now and you can bet your holiday dollars that there are going to be a lot of these going out as gifts this year. Adult coloring books have been exploding sales on Amazon and there are adult coloring books created by and for authors including art that depicts their worlds think Harry Potter, or even Game of Thrones adult coloring books. You don't have to be an artist to create an adult coloring page or adult coloring book. Consider hiring an artist from Fiverr to create a set of drawings from one of your book's universes. Even a few adult coloring pages that you give away for free as an author holiday gift can help boost book sales! But if you can come up with say ten to fifteen pieces that in some way relate to your stories, then you can put those out as a short paperback adult coloring book through CreateSpace or Lulu. Don't forget to add your backlist with buy links! This is the book lover's community that has been waiting for you. Join us for fun and meet people who share the same love of books that you do. Java Junction is filled with publisher and author groups. Follow CoffeeTimeRomance's board Books to Read on Pinterest. Our Coffee Crew works hard every day reading and writing those great reviews because we love it. Out of all the books that the entire staff reads, occassionally one raises to the top of our Staffer's mind. A special book that is just so wonderful, we feel it deserves an extra acknowledgement. So once a month, our Coffee Crew awards a book with the CTRR Award and share it with you. Not every member of our Coffee Crew will have a 'special' book they recommend, so when one of the books is selected, you know it is special! Stop by our blog to see which books were nominated and won this month...or in the past!